While miscommunication might be the source of conflict for romantic comedies, it’s a much more significant problem in the real world. If people aren’t able to efficiently and accurately communicate with their fellow man, then we all have room for improvement. Scientists and doctors are often the worst offenders, even though their ideas need to be communicated to the world for the advancement of society. Alan Alda has spent years trying to figure out why people are unable to communicate, and he has also figured out what we can do to improve this situation. As a scientist and writer, I feel many of his insights have merit. I grew up watching Alan Alda on Scientific American Frontiers, so I know how often he has interacted with scientists. His conclusions that we can all become better communicators through empathy and understanding of our audience makes sense. I dabbled in improvisational theatre a little in college as I was studying to earn my Masters in Mechanical Engineering. Having first-hand experience of successfully improvising, I always touted its benefits for technical professions. Now I know why. When we synchronize with others, our message has a much better chance of being communicated. As if to prove his point, this book is not necessarily a scientific account of the research, but merely a personal (and relatable) set of anecdotal stories that should open people’s eyes to the potential communicators trapped within each of us. We all have to communicate on some level, whether it’s orally or written, so if we can all improve our communication skills by learning to empathize with others, maybe society could one day be able to hold civil and vigorous debates without instantly devolving into mud-slinging contests. 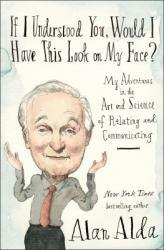 A must-read for anyone who communicates (i.e., everyone), I give If I Understood You, Would I Have This Look on My Face? 5.0 stars out of 5. For the parent, teacher or librarian who loves a good read aloud that can only be done with "the voices" - this is your book. A boy with a cold in his head calls for his mom, but it sounds like "Bob," and of course his dog, Bob, comes running instead. 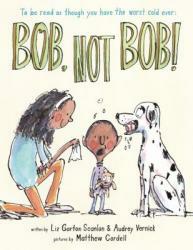 Hilarious situations will tickle reader and listener alike in Bob, Not Bob! by Liz Garton Scanlon and Audrey Vernick with pictures by Matthew Cordell. For ages 3 - 7. 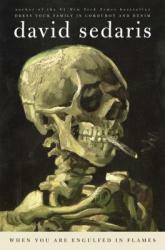 David Sedaris truly does not disappoint in his autobiography, When You’re Engulfed in Flames. The way that he is able to express himself while being true to his own story is amazing. He takes a normal self-discovery story and adds enough detail and personal insight, that it makes it one of the most entertaining books that I have ever read. I can see, however, that this is not the book for everyone. It uses quite a bit of vulgar language, discusses about adult topics, and talks about multiple controversial subjects (political subjects in our nation). It has a very liberal feel, and would most likely not appeal as much to strict conservatives. 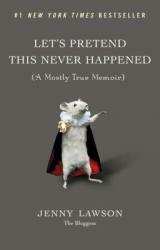 But, nonetheless, a book is a book, and this one was extremely well written and hilarious. I had to bite my lip to keep from laughing out loud in quiet environments. The wit that David Sedaris has is impeccable and one of a kind and constantly present throughout the book. I initially picked up this book because it was given to me as a gift. The gift giver had not read the book but had just seen the exquisite artwork on the cover and knew it was going to be good. Since then, I have recommended this book to so many who want a quick, funny, uplifting read. 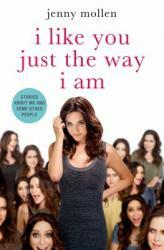 And that is why I recommend this book to anyone who enjoys reading self narratives with a humorous twist. Trevor Noah's autobiography, which focuses on his childhood in South Africa, gives audiences a funny yet insightful look into life in South Africa before and after apartheid. 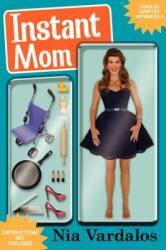 The book is also a compelling mother-and-son love story. 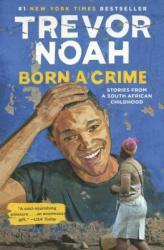 Noah's astute and comedic storytelling makes "Born a Crime" is a very smart and enjoyable read. Of course I loved this book since I too work in a public library. Most of the stories, I have experienced from time to time. And could probably add a few! But I am so glad, that no one has ever taken off their shoe and asked me if their foot was inflamed or infected!! LOL! Now that I have said this, it is probably going to happen. 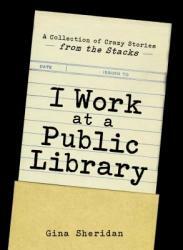 But anyway, this is a great book for anyone who wants to know what it is like to work in a public library. Along with the crazy, funny stories, there are some nice ones where someone's life was changed for the better because of the library. That makes the job at the Reference Desk worth it! This book takes a look at the lives of the early Puritans that crossed over to make a better life for themselves in America. While that topic doesn't immediately scream, "Read me!" I was forced to read it for school, and I actually really enjoyed myself. 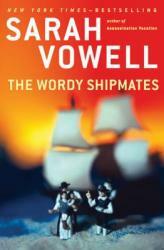 The author, Sarah Vowell, has this dry sense of humor that makes her long explanations about the technicalities of the religion and of how society worked back then interesting while still informing you of the topic and the message she is trying to put across. I think whether I would recommend this book depends on who wants to read it. If you are someone who is looking for a non-fiction novel that gives a different perspective to what is generally taught in history classrooms, I say go for it. If not, you might still enjoy it simply because the author is hysterical, but that might not be the case if you are not interested in learning about the actual topic. Fans of Vardalos get a behind the scenes look at her (generally not-so) glamorous Hollywood life -- and a personal tale about her struggles with infertility and foster-adoption that transformed her in to the "Instant Mom" of the title. While most parents on this journey don't have to negotiate with the entertainment press, Nia's story is funny, sweet, and deeply relatable. She is currently an Adoption Ambassador for the Adoption Council of Canada (and the book does include some information for those starting their family adoption journey) but the story stays close to home, close to the heart, and is a charming personal tale of her family's origins. saddened when he decided to retire from writing these weekly humor columns. now), I usually pick it up out of habit. once did, but I think the issue lies at a deeper level of Dave’s writing. from all the other ones. Essentially, even though it would mean a much longer hiatus from Mr.
much as I used to. 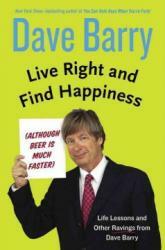 Right and Find Happiness 3.0 stars out of 5. Life in Art, Faith, and Idiocy , and Is Everyone Hanging Out Without Me? his humor has made a somewhat dry subject a lot more palatable. Modern Romance 4.0 stars out of 5. Some of the best science fiction ever written was strangely prescient with its predictions on how the world would advance, technologically. One of the best examples of this was Jules Verne in his story From the Earth to the Moon. Not only did he figure out what it would take to get away from Earth’s gravity, he predicted that the launch site would be in Florida. Ever since then, we have looked to the authors of science fiction to tell us what could be possible in the future of tomorrow. Unfortunately, some of these predictions weren’t quite realistic. While jetpacks and moon colonies sound cool in the pages of a fictional book, they just aren’t practical in reality. Still, our childlike wonder and innovation tried its best to create what the science fiction authors of yore dreamt up. In Where’s My Jetpack?, Daniel H. Wilson does his best to explain where all these fantastical inventions and concepts are in their process toward being fully realized. But don’t worry about this being a stuffy tome full of complicated science. Wilson does a good job infusing humor with his research, which helps to show how ridiculous some of these ideas really are. My one challenge with this book came with the fact that it was published back in 2007. It’s been 10 years since this book came out and now much of its research is either naively optimistic or didn’t pan out. What’s perhaps even more exciting is being aware of the technological developments that have made some of the impossibilities mentioned in this book at least somewhat plausible. Consequently, it’s best to read this book as a snapshot in the technological timeline that is our current reality. 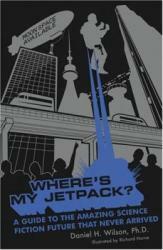 A humorous look at the amazing technological developments inspired by sci-fi, I give Where’s My Jetpack? 4.0 stars out of 5. For whatever reason, I've read a lot of comedian/actor memoirs in the last few years, and this one has pretty similar fare as to what you'd find in, say, a Mindy Kaling or Tina Fey offering. For me, it's in the middle of the pack in terms of quality (Bossypants > Lower Back Tattoo > either of Kalings's books), but was still an interesting, funny listen. 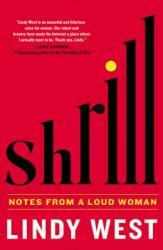 It's part anecdotes, part advice, part social commentary, and part random page filler. For instance, one chapter is her fictional funeral rider, which, while it was kind of funny, was mostly a waste of my time. In this book, Schumer's at her best when she's a little raw - telling a sad/funny story and just letting it be what it is. Even though I mostly enjoyed the book, the editing was not so great. Schumer calls part of the female anatomy by the wrong name for the entirety of the book. I can't believe that no one noticed that. Also, she was constantly saying "remember earlier in the book when" which you know, yes, we do remember, we're capable of basic memory recall. The persistent references to earlier chapters made me think that she maybe thought this book was going to be read by 8-year-olds or something when they were clearly not the target audience. It's not genetics, Schumer, it's the martinis. With that being said, I do admire her courage in telling stories that were real and painful for her, especially since those stories might offer some solace for people in similar situations, or may help young women avoid those situations entirely. I also like that she's found a cause (gun violence, particularly as it pertains to women), and she isn't shy about sharing the facts or her opinions in the book. Overall, I found the book to be an enjoyable listen, and it helped pass the time on a longish car trip. 3 stars. Jenny Lawson’s memoir is heart wrenching and laugh-out loud funny, especially if you have been touched by friends or family dealing with mental health challenges. I listened to it in the car and nearly drove off the road laughing. I felt better knowing there are others that are dealing with the same mental health issues and that my family and I are not alone. You will probably put your family back on the normal and sane spectrum after reading this. I didn't care for some of the language that was strewn through the book, but it is part of the culture. By far the funniest book I have ever read. I laughed out loud throughout the entire book. I can not wait to read her new book and also watch her upcoming series about this book. Hilarious!!!!!! This was a good way to be distracted on my runs. I didn't find it to be laugh-out-loud funny, but it was somewhat engaging, which is good enough for my needs. Very funny, especially on eAudio. I liked the Luxembourg section the best but they were all good. Let me just say that I cannot understand why anyone would want to work for Chelsea Handler. My God, I'd be in hell. It was entertaining but not hilarious until the chapter about Standards and Practices and the chapter written by her dog. This makes me want to read another book by Chelsea herself. This one was written by her cronies. A very funny book. I kinda was expecting an atheist viewpoint, but the author was a bit more nebulous about the existence of God. But more importantly, this was a very funny book. This book was hilarious. It's the book I wish I was clever enough to write. At one point I was laughing so hard I was crying. It might very well be the funniest book I've ever read. I highly highly highly recommend this book! Oh, and it's sweet and sad, too. But mostly funny. Did I mention it was funny?